We have 17000 tea cups used by air lines. Delivery ex. Keeping in mind the precise demands of clients, we offer a wide range of Thermocol Cup. These are available with us in various standard sized packaging and range as per the precise demands and requirements of clients. Our products are manufactured under the firm direction of experienced quality controllers. 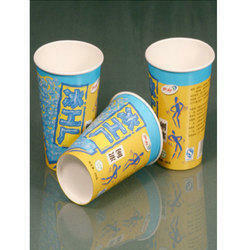 With our expertise and trustworthiness, we are engaged in manufacturing an optimum quality range of Disposable Tea Cup. Whole Sale Price. Rs. 32/- per 100 piece without GST.